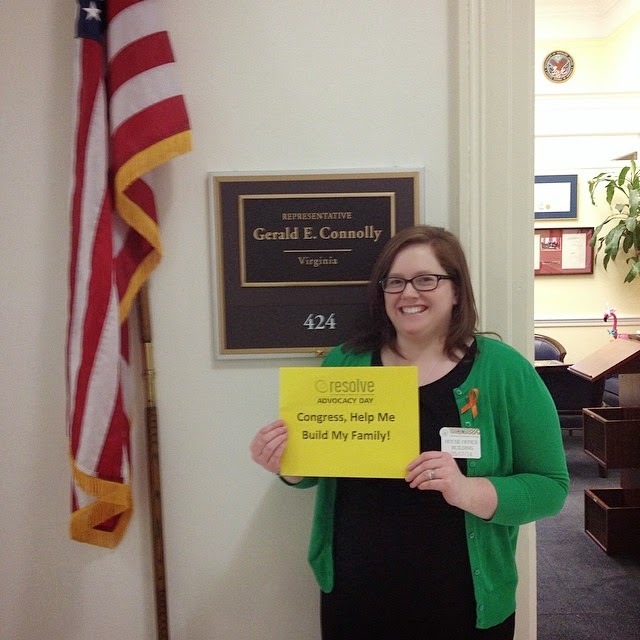 Last Wednesday was Advocacy Day. 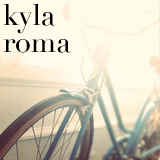 I sat on the metro, hoping the quiet of the morning would calm the butterflies in my stomach. I gave myself a pep talk. Today is going to be great. The people you'll be meeting with are just people! They are Representatives you helped put in office so it's their job to listen to issues that affect you. 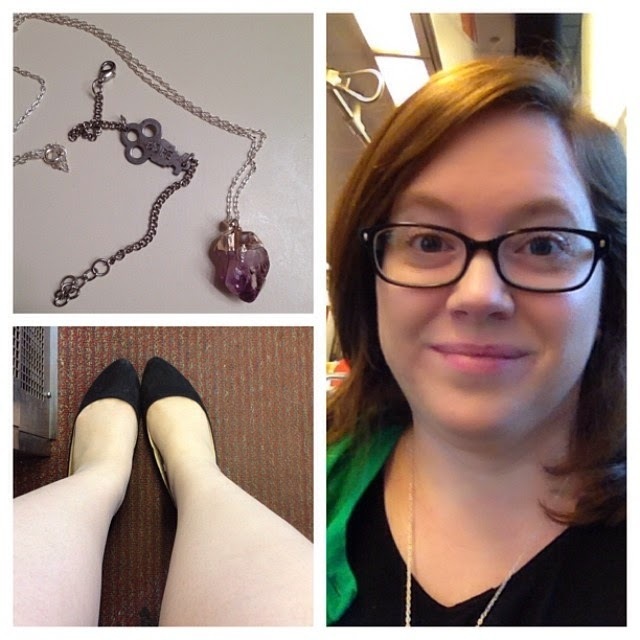 Comfort jewelry, comfy shoes, and a nervous smile! I didn't have too long to focus on nerves because when I switched trains I had to sprint through the metro station to catch the next one. Talk about getting your energy going! (No, I was not the only one running, and yes, I made it). We had training over breakfast at a hotel in D.C. and as the Virginia table began to fill up, one of the women asked me, "so where are you on your journey?" I told my story, I didn't have to explain acronyms or emotions, I listened about other losses and successes, and marveled at the strength of those who surrounded me. They got it. We shared and commiserated, and we all laughed after I admitted to being partially terrified for what the day would hold. 154 Advocates representing 27 states! 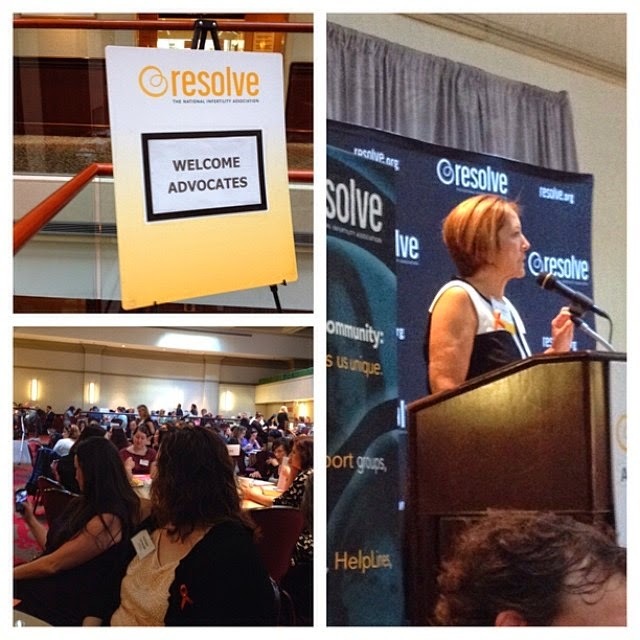 We listened as Barb Collura, the President of Resolve, ran us through the logistics of the day, and passed tissues around the table as Whitney and Jen, Co-Chairs of Advocacy Day, gave beautifully encouraging speeches. We applauded wildly when Representative Rick Larson (the Congressman who introduced the Women Veterans and other Health Care Improvement Acts) said, "Service men and women shouldn't have to choose between serving their country and having a family." I helped organize leave behind materials, and made sure I had all the names down of who was saying what in our meetings. At one point one of the ladies at our table told me if I didn't organize people for a living I should, because I was amazing at it - ha! We prepped, we practiced, and then it was time to walk to the Hill. 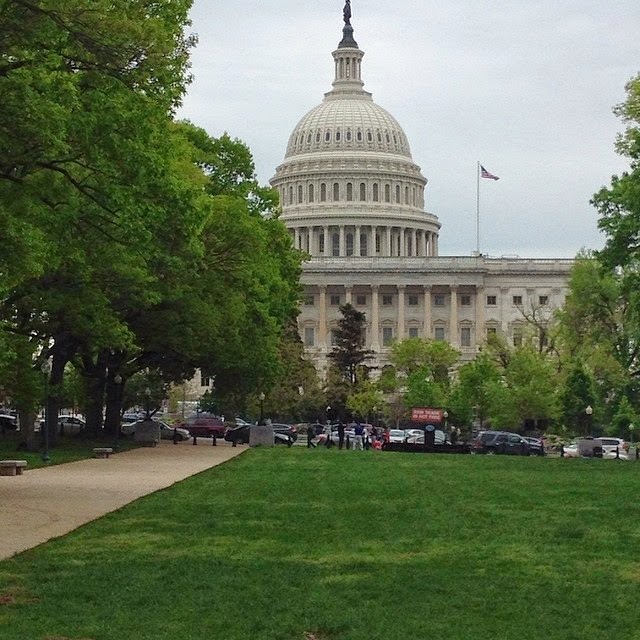 I had three meetings - one for each of my Senators, and one for my Congressman. There's a lot that happens every day in a Congressional office, so I didn't expect for us to meet with any of the Representatives directly, but in our first meeting with Senator Mark Warner's office, his Chief of Staff was there. That is HUGE! We had a very direct conversation with him, and he even shared a touching (and funny!) story about how he and his wife were affected by infertility. I gave the "Infertility 101" part of this brief, and while I was nervous as we walked into the conference room, once I was sitting at the table, I was ready. I gave facts, I shared a bit of my infertility journey, and tried to bring the point home when saying 1 in every 8 couples are affected by infertility: "if you think about how many constituents the Senator has, that means a lot of them are affected by this disease." You guys. I rocked it. After that meeting I was flying high. We didn't get a "yes the Senator will co-sponsor the bill" (what we were hoping for), but the fear was taken out the presentations for me. That morning I figured I could do this, but now I knew. Our next meeting was with a staffer from Congressman Gerry Connolly's office, but the Congressman stopped in for a few minutes beforehand, so we had a chance to shake his hand and chat with him. (There's a picture of this somewhere but I can't remember who took it). I did the "Infertility 101" part of this brief as well and this time barely glanced at my notes! I had a few hours between that meeting and my final one for the day, so I delivered some informational materials to other Congressional offices (not nearly as scary as I thought it would be), and headed to the "de-brief" reception Resolve was hosting that afternoon. This gave me the chance to eat, charge my phone, and most importantly, sit down! I know how walking around D.C. can take a lot out of you, but oh my gosh, I was so wiped! At one point I was sitting in a chair and just leaned against the wall with my eyes closed. When I opened them, a few of the Resolve staffers were laughing, saying they should have taken a picture because that is so representative of the day! I managed to rally though, and walked back to the Senate side for our last meeting of the day with the office of Senator Tim Kaine. Again, we met with a staffer, but I was impressed with how open she was about the possibility of these bills being pushed through the House and Senate. After this meeting I grabbed a quick bite with a fellow advocate who I've known since high school (and haven't seen since then! ), which was a great way to process some of the day. 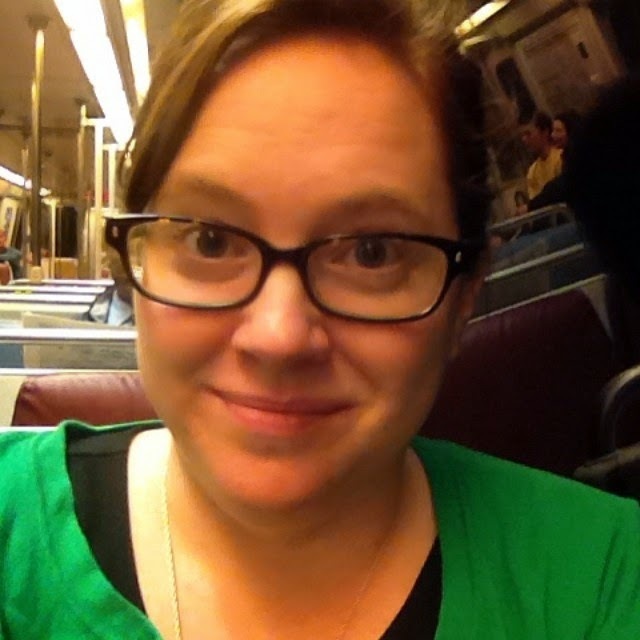 I finally headed home and snapped this selfie on the metro. It's so perfect because I was exhausted yet exhilarated, and feeling so empowered. It was an incredible day, but it was also hard. During one of my meetings I patted the leg of a woman sitting next to me who was trying valiantly to hold back tears. There were a few times when I wondered if one day we wouldn't need meetings like this because infertility would be recognized for the disease that it is. I also thought about Cece, and wondered if people really understand how heart-breaking infertility can be, and how much vulnerability it takes to even attend these kind of appointments. But overall, I feel proud. Proud of my fellow advocates for traveling from all over the country to meet with their Representatives, proud of the work that Resolve is doing and making days like this possible, and proud of myself for taking the time to show up and let my voice be heard. We didn't get a "yes" to co-sponsoring bills in any of our meetings, but I didn't feel like we got brushed off, either. These are important issues and I am absolutely planning on following up with these Representatives. These bills won't diminish the pain of infertility or losing a child, but if they can grant someone a chance to breath during this uphill battle, then I will do whatever I can to make sure that happens. 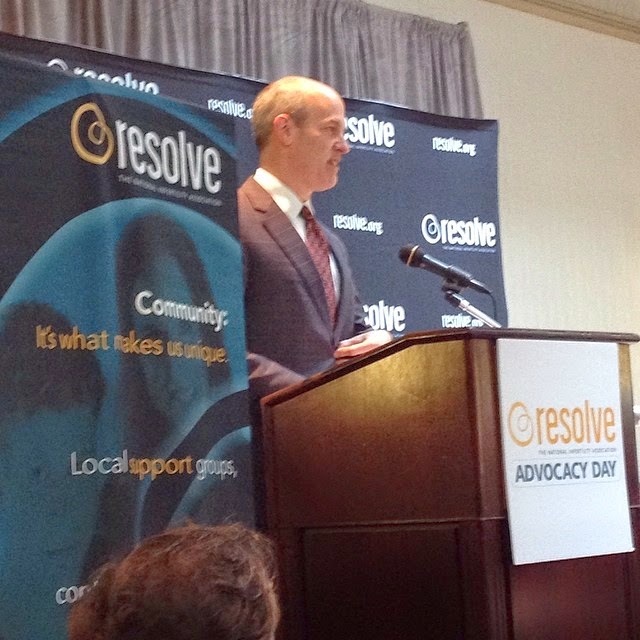 For more Advocacy Day pictures check out the Resolve Facebook page! Becky, I've said it before and I'll say it again: I AM SO PROUD OF YOU. This is awesome and it's so wonderful you were part of this. I'm glad you guys never felt brushed up and hopefully the senators will actually take these issues into serious consideration. Amazing. SO proud of you, Becky! Thank you for doing everything you did. You are inspiring. What an amazing and empowering experience. What an amazing experience! I am so proud of you for having the courage to do this and do it so well. It sounds like you were surrounded by some amazing ladies who really understand who you and Ben are going through. I hope that the bills you were championing go on to be passed! I think that comment from that woman about your ability to organize people is another sign that maybe some day you should find a career that utilizes that ability? I have seen that strength in you as well, and clearly it was obvious to others who barely knew you! This is amazing, Becky! 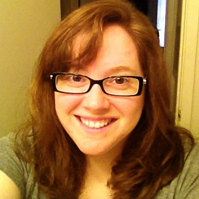 So proud of you for stepping out of your comfort zone to bring attention to infertility. You are such an inspiration! Becky, you're an inspiration. To turn something that is so personal and incredibly painful into something that could benefit others, too ... well, it's just amazing. Congrats on such a successful day! This is a beautiful post from top to bottom; I'm glad the staffers were supportive and that you made connections with new people throughout the day. Is it cheesy to say I'm proud of you? Cause I totally am. You're an inspiration and while you know I loathe, with every fiber of my being, what you've gone through, the fact that you are still selfless and working towards a greater good in light of all you've been through shows what an amazing woman, spirit and person you are. Blessed to know you. Awesome! I'm glad that you were able to spread the word about infertility. I hope that your words play over and over in their heads as they contemplate this bill. I pray that your words open their hearts and they offer their sponsorship! Thank you for being the voice for so many! I literally don't have words to express how proud of you I am! 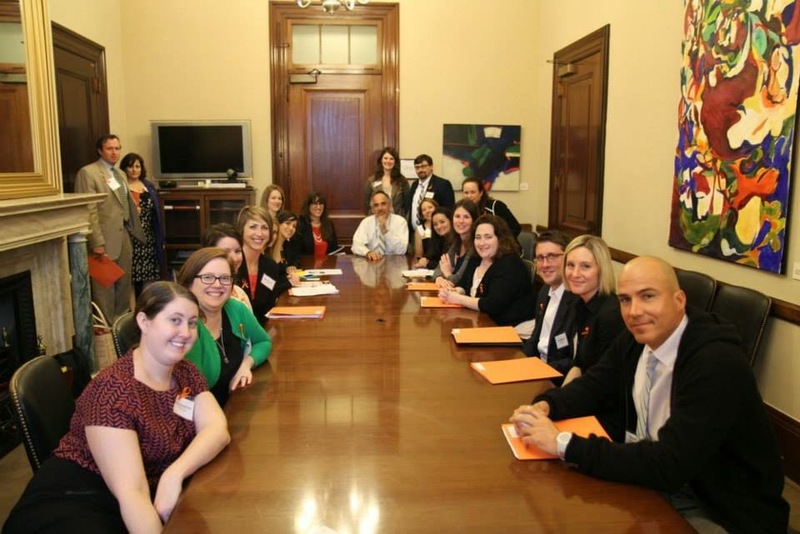 You are truly an inspiration not just for people dealing with infertility, but also for anyone who's ever thought that they couldn't go to their representatives (who work for us!) with any issue. I also think that every single women, even those who haven't had infertility issues, should be thanking Resolve for helping build families.